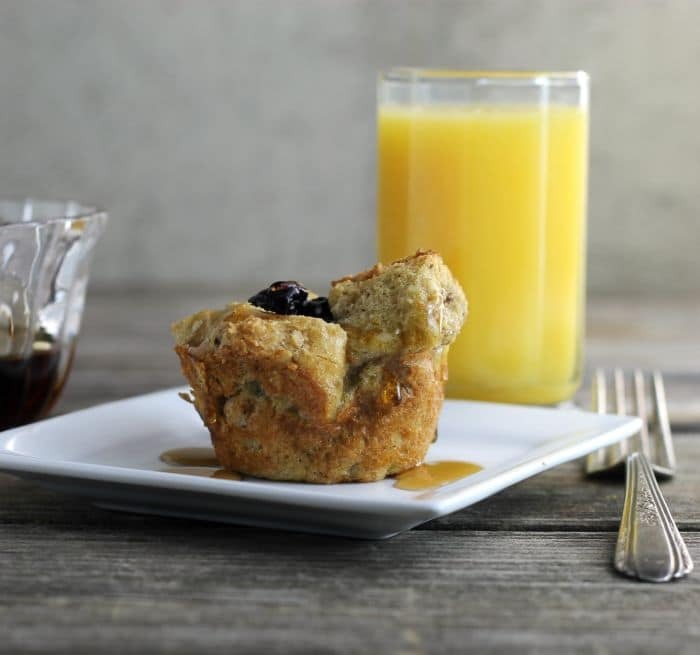 Blueberry French Toast Muffins is a fun recipe to make for breakfast, brunch, or any meal of the day, a new way to eat French toast. 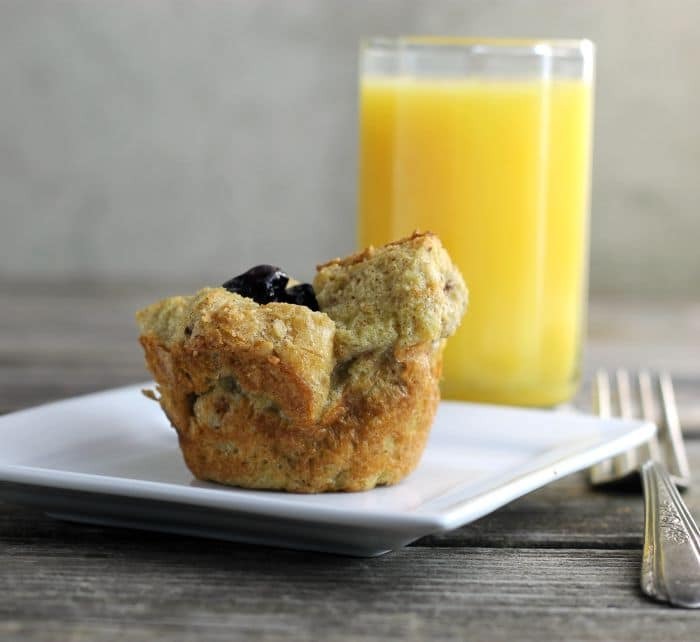 Blueberry French toast muffins are cute and freezer friendly and an all-around delicious muffin. It is at this time of year that I really start thinking of spring and the warmer weather that it will bring. Yeah, I know that we have at least two more months of winter ahead of us. But after the freezing cold weather for the last several months warmer weather always sounds like a good thing. And I can always hope for an early spring, right? On these cold winter mornings, nothing is better than a warm delicious breakfast. French toast is always a welcome breakfast in my book. French toast muffins are a fun and unique way to serve French toast. The muffins are freezer friendly so you can make them up ahead of time and freeze them. Pop them in the microwave until they are heated through and they taste like you just made them. I suggest using bread that is sturdy, such as French bread. French bread is always my choice when making any kind of French toast. This recipe works best if the bread is a bit stale. 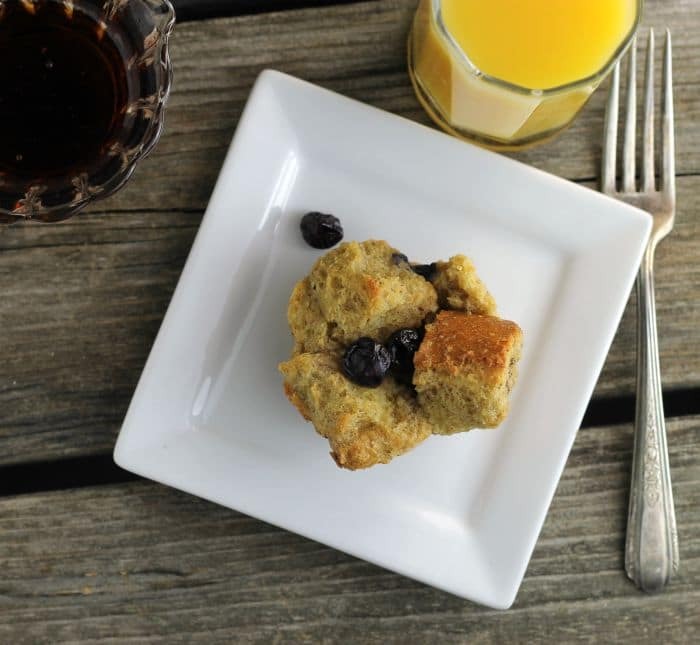 Make these Blueberry French Toast Muffins for your family and I am sure they will love them. What the heck make them for yourself and freeze part of the batch and pop them in the microwave for a quick hot delicious breakfast on those days when there is not a lot of time for breakfast. Cut French bread into 1/2 to 1-inch cubes and set aside. Add the eggs to a medium bowl and beat slightly. Add the cream, sugar, cinnamon, and vanilla and mix until well blended. Add the blueberries and fold in. Pour the liquid over the cubed bread and fold in until the liquid is absorbed into the bread cubes. Spray the muffin tins with a non-stick cooking spray. Remove from the oven and remove the muffins from the tins. Serve with maple syrup or your favorite topping. Love blueberries! And love French toast. Neat idea to combine the two in a muffin — thanks! I love stuff like this that you can whip up and then reheat for breakfast whenever you feel like it. great recipe. thank you. We’ve been making French toast on occasion lately (more during the holidays), and it was a fun breakfast. I’ve never thought about making it in a muffin tin, though. Great idea! You got me at Blueberry! Your French toast has to be delicious! I seldom make it but that change soon when I try it your way! Very creative, Dawn! Oh, boy, I love this concept! Your French toast muffins look terrific! 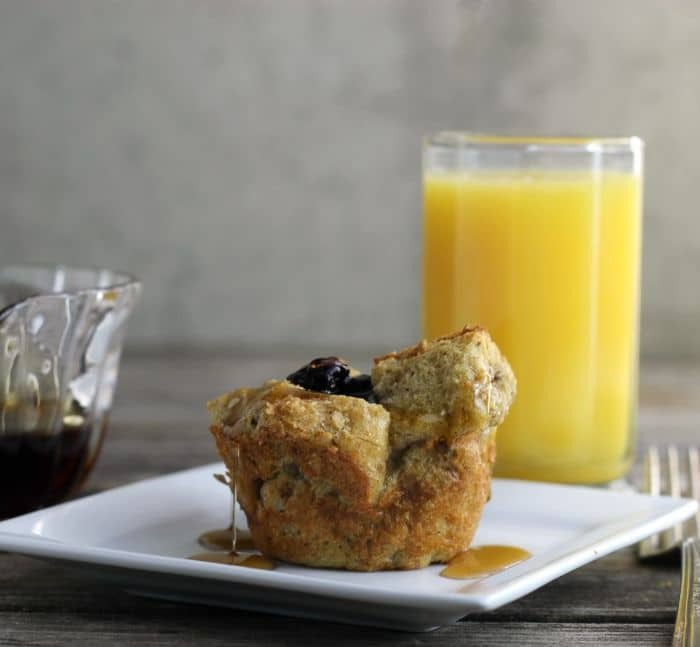 I really love these make-ahead French toast muffins, Dawn! I can think of so many great toppings for them and they’re perfect for busy mornings 🙂 It warmed up here for the weekend and then the temp dropped again last night. I love to be outside so I’m super ready for Spring too! !